the dream team members were all asked to choose one of our favorite layouts, and to make a video about why we love it. it was hard to pick just one. but i went with my "marine world" layout, that i created about 2 years ago. you can check out my video, and hear my thoughts on why this is one of my favorite layouts. and also check out the video's from the other dream team girls that have been going up all week. it's been really fun to watch and hear everyone. the moxie fab world blog, from papercrafts, is featuring a "five (x2) for fridays" post, hi-lighting the work of the CK dream team. all of us worked with papercrafts recently, on a fun little project that is coming out soon. i know that there are many of you out there that are strickly scrapbookers. and those that are strickly cardmakers. but i love that so many of us are a little of both. and it's always fun to see how the two combine to nicely together. 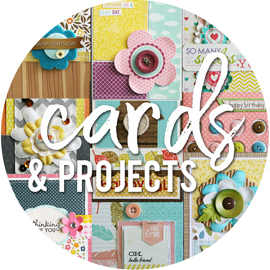 they have a great discussion going on this post, about scrapbooking and cardmaking. so be sure to check it out. jillibean soup is releasing a new colletion, called summer squash soup. lots of fun colors and patterns. just perfect for summer layouts and projects! make sure and leave a comment on the jillibean soup blog, for your chance at winning this collection. i'll be back later tonight, with a new vintage groove necklaces to share. still have to get some photos of it. had a new layout go up over on the jillibean soup blog today. some layout facts, for those that are curious. started with some core'dinations embossed cardstock. i love that they took some of the best jillibean designs, and turned them into jillibean embossed cardstock. then added a little bit of soup staples pattern paper. there's a reason they're called "staples". because you can use them on everything. and some polka dot ribbon. which should really be called a staple too, since i use these on TONS of my projects. need a ribbon? reach for my 5 rolls of jillibean polka dot ribbons. just second nature. i used some corrugated alphas for my title. then i layered a kraft baggage claim tag, along with a yellow journaling sprout and a date sticker, and handwrote some simple journaling. and i also pop-dotted the photo and the journaling sprout, just to add some extra dimension. i know i mentioned this last week, but i wanted to give you some more details info now that the event is here. 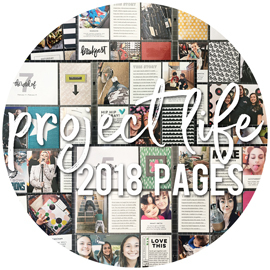 we're talking about the weeklong celebration: celebrating scrapbooking: CK’s countdown to national scrapbooking day, being hosted by Creating Keepsakes magazine. it’s taking place at Club CK, april 26-may 1. every day this week, new content will be uploaded to Club CK. here’s a look at what’s going on this week. Monday: it’s time to get organized with top tips for organizing stickers, organizing a crop, and more! Tuesday: learn to take the perfect portrait with photography tips. 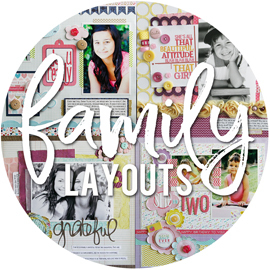 plus, see how easy it is to get your layout on the cover of a creating keepsakes magazine! Wednesday: enjoy journaling again with free journaling-spot downloads, a product review of fantastic journaling spots, and tips that make journaling fun! Thursday: learn top design tricks to make your layouts extraordinary. Friday: view video clips from your favorite scrapbooking manufacturers to learn how to take their products to the next level with fabulous techniques! Saturday: enjoy a layout sketch every hour from 9:00 a.m. to 6:00 p.m. MST. download page titles and free fonts. participate in a photo contest and page-layout contests with randomly selected winners for fabulous prizes, including over $150 of Stampin’ Up! product or gift certificates to shop online at two peas in a bucket! there's a lot of other fun things mixed in. and every day, they are also putting up some video's from the contributing writers and the dream team. we're all sharing our favorite layouts with you. got to see cindy tobey and susan weinroth on monday. we'll see who goes up tomorrow. another fun thing, is that you can download a blinkie for this event. and they also have two great deals going on during the week. people can enjoy a special discount of 20% off all orders in the scrap and paper corner store, by just entering promo code NSBD. 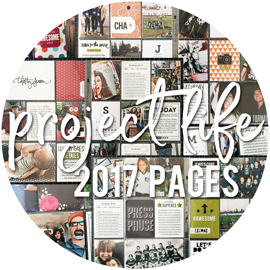 and last, but not least, you can get a two-year subscription to Creating Keepsakes magazine for the price of a one-year subscription (HERE). sometime last year, sarah klemish and i traded some photos with each other. she mainly scraps her boys, and i mainly scrap my girls. so we thought it would be fun to switch photos and scrap a few layouts for each other. i had made a few layouts for her last year, and she made a few for me. but since then, she's made a few more for me. which is really fun. since every so often, she just randomly pulls out a new layout with my girl's on it. i'm not expecting them, so they're always a fun surprise. 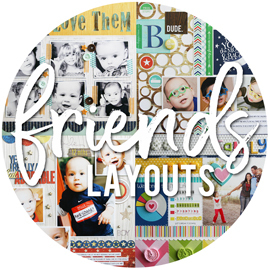 i wanted to share her fun layouts with you today. can be seen HERE. this layout just makes me happy, and makes me smile! i think that bird paper is so stinkin cute, love the bright colors, and the little chipboard bird is adorable. can be seen HERE. banners are a huge trend these days, and one that i havn't actually tried yet. and i think sarah's banner is adorable! love the green buttons to add a pop of color. and i love the music paper. can be seen HERE. this is another layout that makes me happy. and not just because the title is "happy". lol! i think those title letters are so fun and fresh. love the cloud paper, and the woodgrain paper. and the clear buttons are perfect. i'm a big fan of clear buttons as a subtle embellishment. i only have a minute today, so thought i'd share a few things with you. some FYI's. just a quick photo of me wearing the necklace that i shared yesterday. didn't quite match the green sweater i was wearing, but i really love it and wore it all day. i know that not all of you have stores by you that are selling the new making memories vintage groove jewelry. but i noticed that a few online stores are now carrying it. check it out HERE, and HERE (they're having 15% off right now). i have another vintage groove necklace to share with you today. this one is pretty simple. i liked the yellow pendant, and wanted to keep the silver chain very clean and simple. have you tried it yet? would you like to? the super generous folks from Making Memories are doing a random act of kindness for their facebook fans. They will be choosing one winner every day! all you have to do is become a fan, visit their FB page daily and post a comment to be entered in. go HERE to get started. good luck! my camera and i are at odds with each other. it's been going on for a few months now. and it might explain the serious lack of photos this year. it's frustrating to me. i take out the camera with good intentions. but when i don't get the shot i want, i get frustrated and confused, and i give up. i'm honestly not sure who is to blame. it might be the camera's fault. lots of focusing issues, and some color issues. could be the camera, could be the lens, could just be an off setting that i'm not seeing. or it could be my fault. user error. highly likely. i tend to have these brain fart moments. where i just forget the stuff that i DO know, and can't even take a basic photo. i'm finally ready to figure it out. the first thing i thought i would do, is test out my camera and my lenses. luckily, alyssa's dad has the same exact camera i have, and some of the same lenses. and yes, we have the same camera bags too. i borrowed his for a few days, and am going to swap camera bodies and lenses and check them all against each other. then i'll go from there. when i was at CHA a few months ago, i checked out the harmonie booth and got a look at all their products. it wasn't a manufacturer that i knew a lot about, to be honest. so i'm glad that we made the stop. they have some of the most beautiful products. pattern papers, stamps, and these chipboard pieces that are so much fun. so when they contacted me a few weeks ago, i was more than happy to play with a sampling of their products. the package they sent me was definately travel themed. right away, i knew that i could use it for a few of alyssa's photos from a hawaii trip she took with her dad and his family a few years ago. i have only scrapped one or two of those photos. i actually havn't even gone through them all yet, because there were just SO many of them that i get overwhelmed picking any out. lol! their wood pieces are so intricate and detailed. they're made from recycled chipboard. and i have to say, they smell really good. is it weird that i kept stopping to sniff this palm tree piece? lol! i couldn't put my finger on what it reminded me of. i mentioned the smell to them, when i emailed this layout over. and she said that it was sort of a burnt wood smell (from the cutting process), kind of like a campfire. she's definately right. these foil stickers are really fun too. i always get nervous with stickers like this, because i'm worried they're going to ball up and stick together once i peel them off. but they were really easy to use and kept their shape, without sticking together at all. i added some of their fun buttons to the flower centers. i did add some american crafts foam numbers and foil chipboard letters for my title. but everything else is from harmonie. the pattern papers, ribbon, foil stickers, buttons, and the chipboard palmtree shape. wanted to share my latest creation with the new vintage groove jewelry collection from making memories. i had this idea a week or so ago for a layout about the girls favorite TV shows. 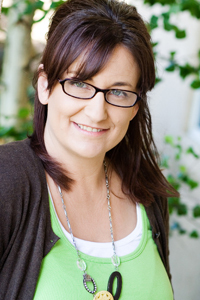 i was emailing my good friend erin clarkson at the time, and we were chatting about our girls, and all that tween and teen stuff that goes with them. so we decided to put the two together, and make a fun challenge out of it. creating a layout or project, that would document what the kids are into these days or what their favorite things are. when i got the idea to document the girls favorite shows, i started looking for some pictures online to use. i just used google images, and typed in the show name + cast. so if i was looking for wizards of waverly place, i typed in "wizards of waverly place cast". it pulled up pages and pages of photos, and i just dug around to find ones i liked. i also tried to find photos that had the same general size. a lot of photos online have really low resolutions, and don't print well. so i was able to find most of these photos in a 1280 x 1024 size, which printed just great (they're all printed 2.5 x 3 inches). i loved how all the disney channel shows all had such similiar group shots, with the name of the show printed across it. those are the ones i looked for. the nickelodeon shows were harder to find. and "make it or break it" is an ABC family show (about gymnastics), and i had to add my own title to that photo. see that circle, with the "our" on it? i didn't plan on this. but when i went to rub on the purple letters, i spelled "our" wrong. i always start at the end of the word, and go backwards. and i really should learn to write the word down on scratch paper first. because i usually spell something wrong. lol! i just punched a circle out of an extra journaling tag, and added it on top of my mistake. easy fix. i went ahead of punched another circle out from the journaling tag. it had the word "date" on the tag, and i fit it into my circle and then added the rubon numbers for the year. i added a little strip of rubon peace signs, and a few epoxy shapes on top of the flowers on the pattern paper. and a few staples, since no layout is complete without staples. i was going to add some hand written journaling to this layout, on the ruled lines. but i started to worry that if i did, it would be way too much and too busy. there's a lot going on here, with the fun doodleing on the pattern paper. i think the layout itself is pretty self explanitory, so i don't think i neccesarily need any extra journaling to explain it. i have no idea why i suddenly decided to start working on this project again. i had about 42 different projects going this weekend. but why not add starting a blog book to the list, right? because that's an easy enough thing to do. NOT. the blog book. it's a think of beauty, once it's done and sitting on my bookshelf. but the process of making one of these books? it can be frustrating and time consuming. i'm sure it can be easy and simple for some people. just never for me. i decided to start with 2009, and then i will do 2008 afterwards. my blog is HUGE now, so i only pull up about 3 months at a time. once i work on that, and finetune it, it usually cuts the number of pages way down. by at least a third, if not more. then i pull up another few months. i had 154 pages for just the first 3 months, and after working on it, it's down to 92 pages already. but this time, when blurb went to slurp my blog, it slurped it all up wonky. slurping is the term blurb uses for it sucking up your blog info and spitting it into the book program. cute, right? well, this time it added in a bunch of symbols and numbers all throughout my posts. EVERYWHERE. i was so bugged, i can't even tell you. i put in a message to their customer service helpers. and i was told that they really didn't know why it was doing that, but that i could "find and replace" what shouldn't be there. so i sat down and really studied the wonky parts, and determined what it was. just like everywhere that i saw "&#quot;" there should have been a quotation mark. meaning of course, that that wonky code was on both sides of whatever i was quoting. lol! there was also a 6 digit mix of symbols and numbers wherever a comma was. and a 5 digit mix of symbols and numbers where a lot of the spaces should be. luckily, the "find and replace" feature works easily. and it will take care and fix the entire book at once. for 3 months, it fixed over 2100 wonky codes in a matter of seconds. but still a pain. anyways, i have 3 months of my blog book all edited and fixed to my liking. not bad, considering that was just a day and a half of working on it here and there. i'll share more once it's done. but in the meantime, you can check out THIS POST, ANOTHER POST, and THAT POST for more info on how i made the books and some Q&A's about the process. i forgot i had a layout go up on the jillibean soup blog yesterday. i don't know why, but i always seem to be digging out older photos when it's time to do my jillibean soup layouts each month. these are from almost 8 years ago. some pictures of the girls backing some cakes and brownies in their easy bake oven. and i'm 99% sure that we still have that oven up in the attic. lol! and i meant for the title to read "bake me a cake". forgot to put the "a" in there. "bake me cake" sounds so bossy. lol! yesterday, i was working on some projects out in another room. and after i was done, i was putting my tools and adhesives back in my scraproom. and as i put them in their spots in my making memories carousel, i thought about how much i love that thing. glitter glue, diamond glaze, glue lines, ki gloo. basically, my wet adhesives that i use all the time. not sure about that blue tube of adhesive. i'm thinking that might be dried out by now. three of these top compartments, actually have 2 seperate spots in them. which is nice, since things don't get lost as easily or mixed together. these are my main scissors. the blue ones are creative memories ones, that i've had forever. then a scalloped scissor. some staples, and more adhesive. some more scissors and a few exacto knives. sandpaper and paintbrushes. my most used pens for journaling and a pencil for tracing. i hate writing in pencil and only do it when needed. more adhesives. i'm a serious adhesive junkie, and am always using about 13 different ones at a time. i actually have a bowl on my table that also holds more. my favorite side. the tools. all kinds of them. my most often used from this area, are my paper piercers (for brads), my tweezers (for stickers), kraft knife (for opening things, not really for cutting), and the emery board (for sanding). the middle of the carousel is deep, and can hold larger items. i keep my tag maker in there, and my tag curler. and a few of my rulers. i have a lot of rulers. just can't scrap without a few by my side. onto the drawers. they're small, but make for nice little compartments. you can pull each one all the way out and move them around if you want. there's a little magnet on the back of each drawer, that helps hold it in place when it's all the way in. this one holds my needles, and some white thread. it's one color that i use a lot, so i have some close by for threading buttons. also a few extra trimmer blades. i have an older one that is marked with an "C", that i use for cutting chipboard, so that i don't wear down my good blade. some tiny pencils. these are some that alyssa brought home from her grandma's house. they were from a beauty supply store that she works at. i like them because they have a very small, sharp tip. great for tracing templates or shapes, that i'm going to cut out. check out my high class eraser. i even taped it together at one point, because i loved it that much. it is awesome for removing pencil marks. i use my creative memories circle cutter ALL the time. constantly. my three blades fit perfectly in this drawer. and i already have the caps off and popped onto the back. so they're ready to go, instead of fiddling with them all the time. this drawer holds all the tips for my eyelet setters, my notch tool, and instant setter. and also my edge distresser. i have another one of those too, the MM one. i've been using those constantly lately. binder clips. i do use these quite often. maybe not enough to have their own drawer. now that i have my embellishment shelf up (which i'll share next week), i might put those in a little jar. and find something else to go in here. a drawer of safety pins. regular metal ones, and lots of cute colored ones. just like the clips, i'm not sure i use these enough to keep them in a drawer. those might get put in a jar too. and just a quick peek at the carousel at the other end of my desk. i'm not walking you through this one though. it's mainly just random embellishments that i don't want to forget to use. or that i havn't put away yet. it also holds my tags, gems, mini rubons, etc. have you seen the new vintage groove jewelry, by designer jill schwartz? 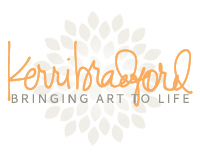 she has teamed up with making memories to bring us some gorgeous jewelry supplies to create with. i first heard about this on my trip to the MM offices, last november. jill was actually there with all the pieces spread out on this huge table, and they were deciding on how they were going to group everything and package it. was neat to see a glimpse of the process. now, i'm the first to admit that i'm not actually a big jewelry person. meaning, the only jewelry i wear is my wedding rings. but i was totally up for the challenge of creating with this new collection. i decided to invite my good friend, sierra, over to create with me. she's an artsy fartsy girl, like me. but with a different style. and while i was drawn to a ton of the pieces of this collection, i knew that some of it wasn't quite my style. it's gorgeous. just not "me". but i could see it being "sierra", and knew she'd have fun with it. she dug right in there, and started creating. pulling pieces out, taking chains apart, cutting pieces, and putting together fun mixtures. me? i sat there and debated, hemmed and hawwed, over analyzed, and maybe even got a little anxious and overwhelmed at one point. lol! i'm such a clean and linear person, matchy matchy, and everything measured to precise and perfect spacing. so this was a creative push for me. but the nice thing about doing something with a friend, is that you always start chatting and talking about stuff. and at some point, i just started making stuff. we were both totally into what we were making, not really looking at each other much, but chatting away. sierra even said at one point, "i've never talked to you like this". which was kind of funny, since i've known her about 8 years. lol! anyways. the point of this, is that i made a few necklaces. all on my own. and i loved it. they're nothing too fancy or elaborate. but for my first time jewelry-ing it up (i might have made that term up), i'm really happy with them. i was determined to use this super cute teal flower. it was the first thing that caught my eye. i think i had something else dangling on there, with the two flowers. and then i thought about the "L" monograms. when i got my package, jenny had tossed a ton of L's in there. i'm assuming it was for "laura", although it could be because she "loves" me so much ;) so, i was joking that i should add an "L" to everything i make. like a signature touch. i kind of liked that idea. i should have changed into something that actually matched better. but i don't have access to my room during the day, since joe sleeps after working all night. and this was taken one handed, outstetched arm. not sure i would have looked better if someone else took the photo, but in my mind, i would have. lol! and i did mean for this to be slightly off to the side (i didn't just put it on crooked), and not hanging right in the middle. this would probably look cooler with a different shirt. yeah, i think so. an hour or so spend with a good friend, creative goodness, and six creations to show for it. not bad at all. although i only made two necklaces, and sierra made 3 necklaces and a bracelet. she wins. but i have plans for more, so i'll share more next week. edited to add: sierra has her creations up on her blog this morning, and she's be thrilled if you would stop by and see what she made HERE. the girls went back to school today, after a week and a day off for spring break. photo includes alyssa's friend cassidy, who walks with them every day. between yesterday and today, i've mailed out ten projects. and paperwork for most of them, which takes longer than making the actual project. lol! speaking of paperwork. i did a ton of it last night, and have everything put away and taken care of. this pile had about 30 papers in it before. now it has just 2 assignment emails. that's it. my famous pile on the kitchen island is gone. it's usually a big stack of papers, notes, receipts, bills, and random stuff that needs attention. now i have one paint chip, some tacks from something i was going to pin up, a hair clip, lip stuff, and the cell phone. photos are printed for layouts that i want to do, and product i want to use. i had a few cards go up on the jillibean soup blog today. i'm just loving these new canvas flowers. love the texture and thickness of them. for the flower stems, i cut a jillibean soup border sticker in half and stuck them down. the "grass" on my cardstock was just cut by hand. just made little notches all the way across the length. i'm hoping this card is right. with the amount of rain we had yesterday, i'm hoping it brings some flowers around the yard. lol! i cut the umbrellas from the pattern paper, and adhered them with pop dots to the card. added a few simple flowers and buttons, and a cute sticker phrase to the middle one. i spend some time tonight driving the girls back and forth across town to soccer practices, my purse beside me. and i also spend some time doing laundry, hanging up clean shirts and sweaters. and i noticed something that i thought was kind of interesting. now to the part that i thought was interesting. these are totally the colors i have going on in the house these days. which i will share photos of next week. still finishing a few things. but today, i accidently found the most perfect kitchen rug. wasn't looking for one, since i already had one. but it found me. and it was on sale, and i had an extra percent off coupon, and i had some store cash to use. i had no choice but to get it. lol! and it ties together everything i've been doing with the colors. with the paint and other decor. i slapped it on the kitchen floor and smiled. and at some point, i realized that it totally matched my purse and clothes. no wonder i love it so much. i had a layout go up on the jillibean soup blog today, just in time for easter. dug out some easter photos from 7 years ago. i had scrapped these before. but they were on 4 pages. in both the girls albums, meaning 8 pages total. now i have just 2 pages for the family album. perfect. i know some people think that re-scrapping some photos seems silly, and that they would rather work on other things. but i'm all for it, from time to time. especially, when i get some really cute product like the egg drop soup collection.